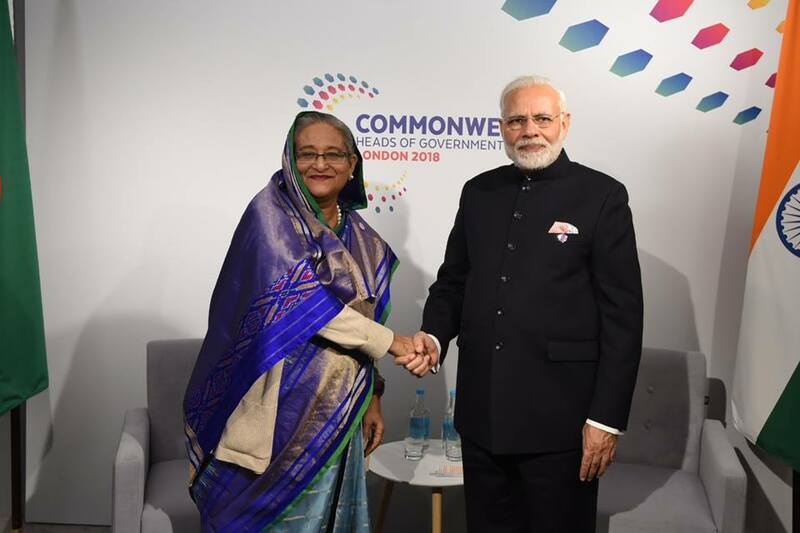 Prime Minister Sheikh Hasina and her Indian counterpart Narendra Modi will jointly inaugurate four projects in Bangladesh, including the supply of 1,100 buses and trucks to Bangladesh Road Transport Corporation (BRTC), today. The two premiers will open the schemes through a videoconference from their respective capitals at 1:10 pm today, the Prime Minister’s Office sources said. They will inaugurate supply of 600 buses and 500 trucks to BRTC which were purchased with line of credit from India, BRTC Chairman Farid Ahmed Bhuiyan told BSS. Of the buses, he said, 300 are double-deckers, 100 non-AC buses, 100 city AC buses and 100 intercity AC buses. Among the trucks, 350 are with 16.2-tonne capacity and 150 with 10.2-tonne capacity. The BRTC chairman said 47 BRTC buses and 25 trucks have already arrived in Bangladesh. More buses and trucks are on way to Dhaka, while the remaining ones will reach by April and June this year, he said. The PMO sources said the two prime ministers will inaugurate 36 community clinics in Jamalpur, Sherpur, Habiganj, Sunamganj and Brahmmanbaria under grant financing of the government of India. The two other schemes to be opened by them are 11 water treatment plants in Bhandaria Poursabha in Pirojepur district under the grant financing of the government of India and the National Knowledge Network (NKN) extension to Bangladesh under NKN extension to SAARC nations, the sources added.